"An Evening with the Dean" is a series a regional alumni receptions designed to reach our MD alumni all over the state. Alumni from each area are invited to reconnect and network with fellow alumni and catch up on the new developments at the Morsani College of Medicine. If you have interest in attending one of these events or hosting an event in your region, please feel free to contact, Steven Specter, Ph.D. either via e-mail, sspecter@health.usf.edu or by telephone at 813-974-5193. 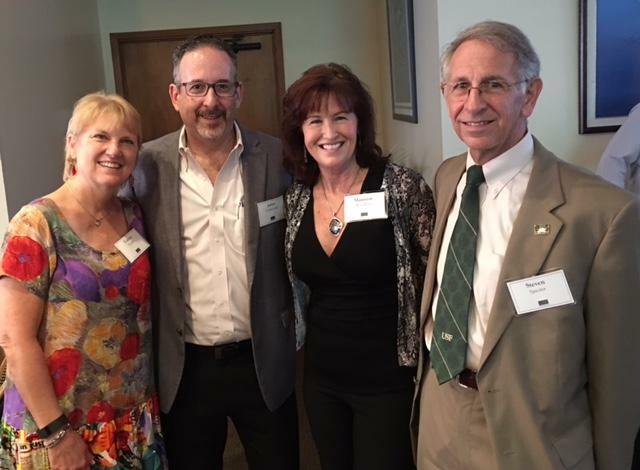 If you would like to get more involved with the Morsani College of Medicine Alumni Society please contact Catherine Warner at medicinealum@health.usf.edu or by telephone at 813-974-6850.